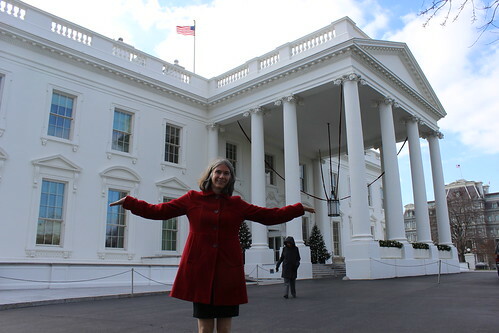 December Excitement – 3D Printing, CBS, and the White House! I had some extra excitement this holiday season. My 3D Printed Library of Congress Ornament was one of the winners of the first ever White House 3D Printed Ornament Design Challenge. 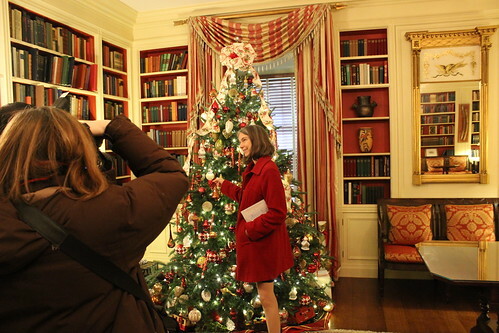 My ornament was one of five from the contest selected to be displayed in the East Wing of the White House and it’ll be part of a Smithsonian collection as well. 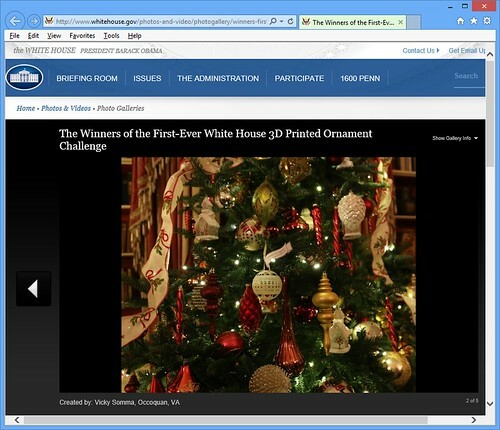 I was thrilled to see a photo of my ornament on whitehouse.gov. Whitehouse.gov! 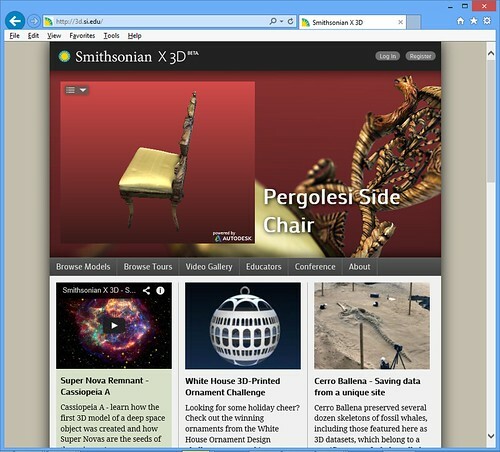 And then as thrilled to see it on the front page of the Smithsonian 3D site. 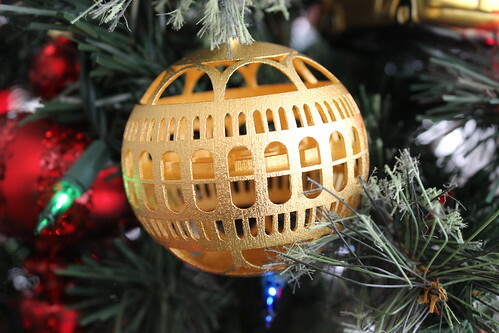 My Ornament on the Smithsonian 3D Site!!! I thought that would be the extent of the excitement, but I had no idea. The next week (December 8th) a crew from CBSNews came by our house to do an interview. 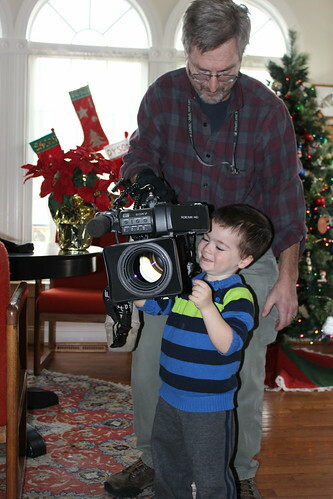 The boys stayed home from daycare and after the interview the camera man even let Sagan see the camera. I also answered some questions for the Library of Congress for their blog and print magazine. Excitement over, now, right? Nope! Then I received an exciting email from the White House. The Office of Science and Technology Policy to be more exact. 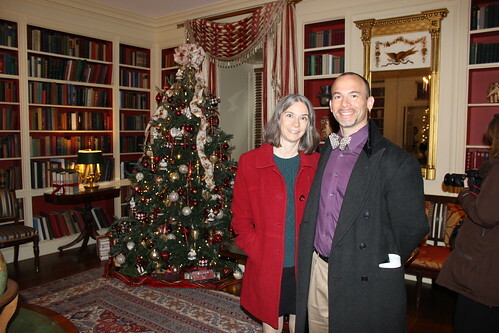 They invited me and one guest to come and tour the White House and see all the decorations. After we passed all our background checks, I got to take that striking husband of mine on an epic date! I love impressing that man (he’s the whole reason I made a Library of Congress Ornament in the first place) and what better way than taking him to the White House? 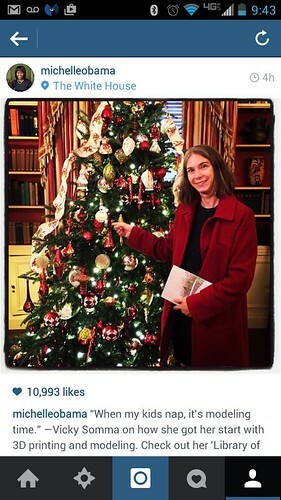 🙂 And better yet– they displayed the Library of Congress Ornament… oh, in the White House Library. 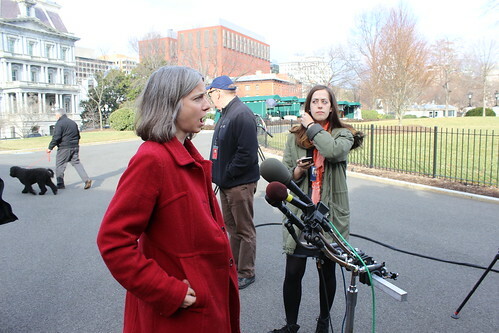 I Was So Busy Pretending to Give a Press Conference… I Almost Missed the First Dog in the Background! I made some modifications to the model so it would be printable in Shapeways Steel. The price point is high (over 70 USD! ), so I thought it would be something only I would get, but almost immediately some anonymous stranger on the Internet ordered some. I do have to admit, the Nickel Polished Steel and Gold Plated Steel does look awfully nice. (The plastics look great too). I ended up on Michelle Obama’s Instagram. My ornament made a cameo on The Today Show. Someone actually used my name as a hashtag. Get this– I went to an informational meeting for the Mini NOVA Maker Faire and the organizers there knew who *I* was! Crazy! As the holidays neared, though, I hadn’t heard anything about that CBS segment, so I just assumed it got cut for other news. Then as we were sitting down to dinner on Christmas Eve, my brother got a call from my Dad’s old boss. 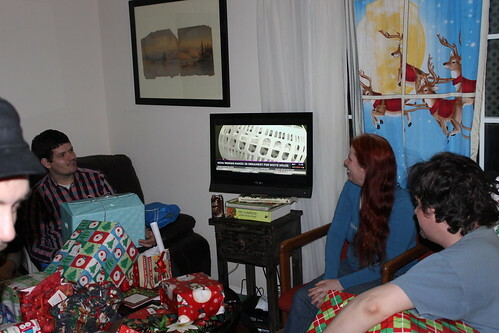 My family was able to catch a later showing of the segment on WUSA9, so I got to see my relatives see me on TV. I haven’t been able to find an online video, but I did find a writeup on the WUSA9 website.